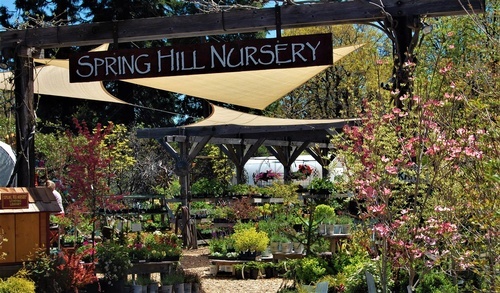 Spring Hill Nursery and Gardens is located at the base of Mt. Shasta in Northern California. 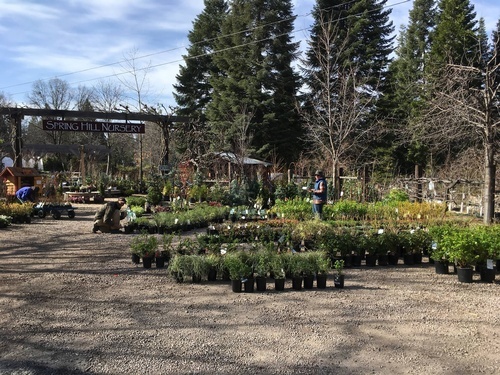 We are known for having a wide variety of plant material, a very friendly and knowledgeable staff and a unique way of showing off our products. 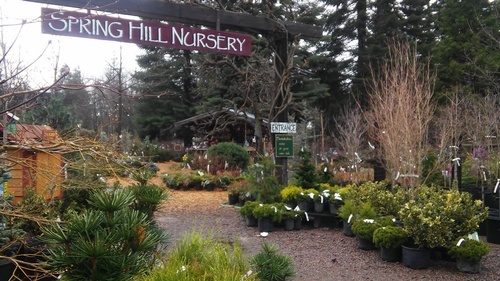 Entering through the gate at the nursery is like wandering into a garden wonderland. 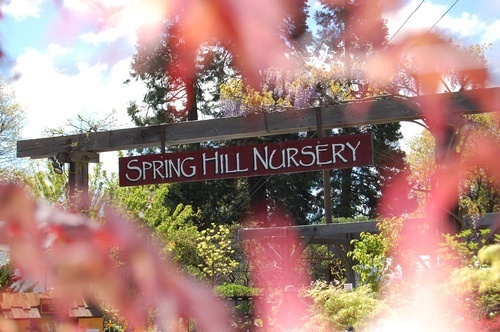 Beautiful mature trees, plants, statuary, and pottery surround you. Pathways radiate out from the central area inviting one to explore the two acres of nursery stock, display gardens, and a cutting garden. 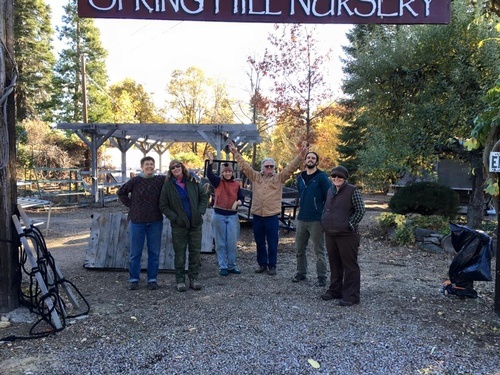 Trees, shrubs, flowers, perennials, pottery and garden art are uniquely displayed to demonstrate different styles of gardening. The sales shed is the focal point for information, amendments, and gifts. 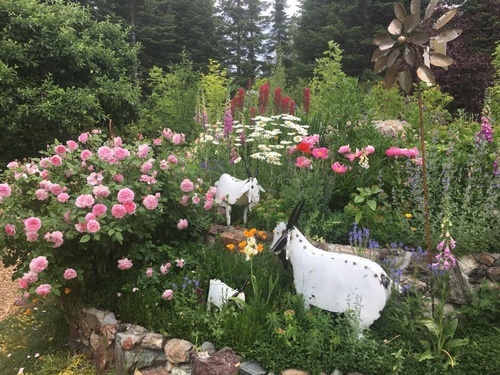 There are several display gardens including a cutting garden, a deer resistant garden, several perennial border gardens, and a conifer garden. There is always something new blooming at the nursery. 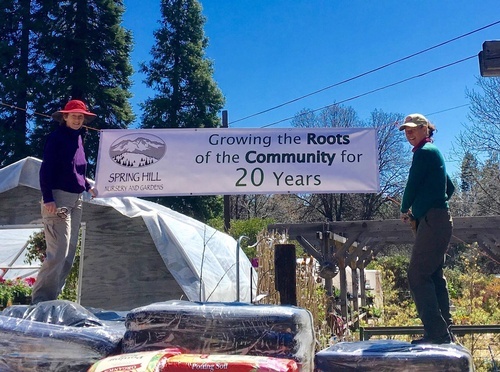 Spring Hill Nursery and Gardens offers a complete and varied selection of local and northern grown plants that are hardy for the Mt, Shasta and surrounding areas.